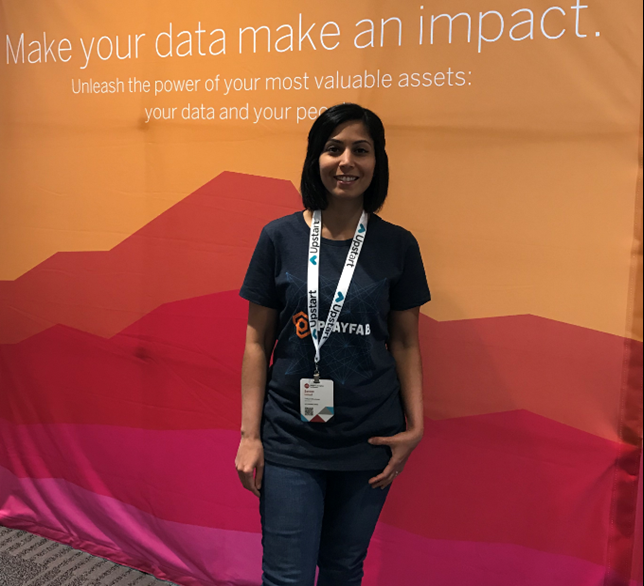 I had the pleasure of attending the 2019 Women in Analytics conference. It was a 2 day conference featuring data-centric talks delivered by female professionals. 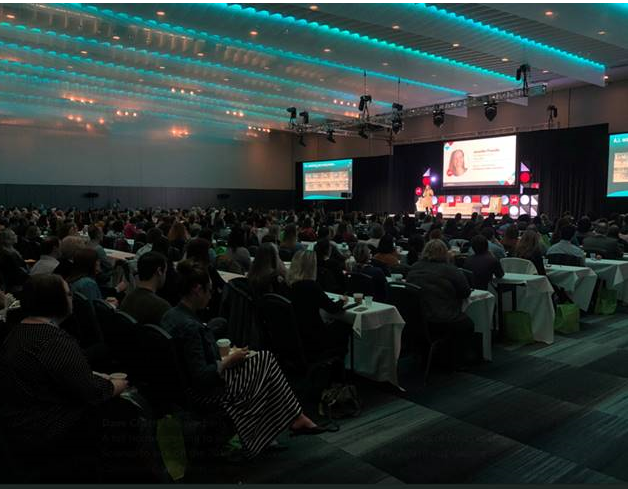 The conference was attended by 700 women and men and it was great to see such an amazing turnout. I was awed by how diverse the crowd was, the organizers had put in a lot of effort to make it so by sponsoring students, fly-ins from around the nation, and by hosting a data visualization competition. I enjoyed engaging with students, data scientists, engineers, and designers in a variety of industries. It was exciting to have great conversations with attendees from industries such as fintech about how they use and visualize data and some of the nuances. 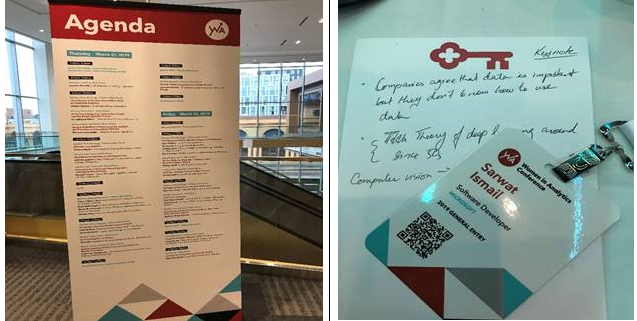 My own background is in software development so I saw this conference as an opportunity to shape my understanding of data analysis and data science problems in a way that would make me a more effective resource for our customers at Microsoft. · We need to hire based on critical thinking skills etc over technical skills. You can teach technical skills but it is much harder to teach critical thinking/problem solving/leadership! · It is important not let your analytics strategy become an afterthought. When we lose sight of our objectives, we double our efforts. · Mai Alowaish presented an excellent blueprint to align stakeholders around business goals, KPIs and the supporting metrics and sources in order to focus on high delivery outcomes. · Most common ways to build ML skills is to practice on canned data, but this causes problems with real data. 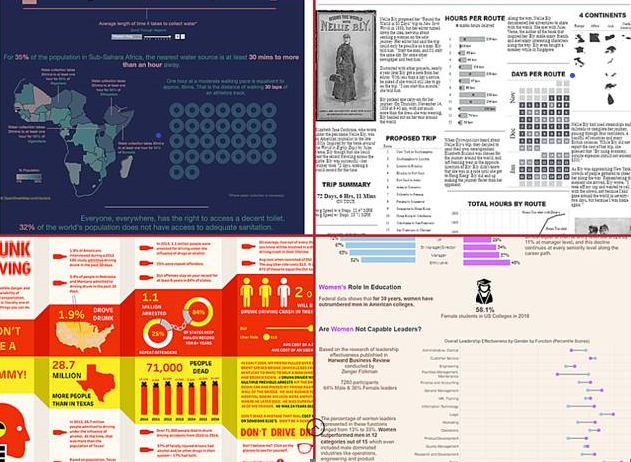 Real world data is messy, incomplete, and sometimes even racist, sexist, and immoral. We need to acknowledge that the real world can be garbage at times, and consequently we should be building systems that combat this, instead of succumbing to it. So many talks, so little time! The conference held a Data visualizations contest and I took pictures of some of the finalists. Tableau was the most commonly used toolset to build these gorgeous visualizations. Sarwat Ismail is a Tech enthusiast with 13 years of industry experience. She is currently a Software Developer in Xbox, Microsoft and no, she does not play games all day. Sarwat is very passionate about mentoring fresh talent especially women in technology and takes great interest in coaching them into becoming thriving members of the industry. When she is not writing code, she takes an active role in college recruiting, giving campaigns and hackathons that help improve company culture. She is a mother to three handsome but mischievous boys who keep her at her toes. In her free time, she loves to experiment with new baking recipes and makes and eats way too much banana bread. Want to learn more about Sarwat? Here is a super cool article by PWiC that details her journey in technology and accomplishments.